For those of you that follow me, you know that I’m pretty good about putting out a post every few days, so you may have been wondering what happened last week. Well, last week, thanks to my wonderful in-laws, my family and I were sucked into the bubble that is Walt Disney World in Florida where we spent our days laughing, eating, riding rides, eating, walking, eating, standing in lines, eating and enjoying each others company (often while eating). Being in ministry, I couldn’t help but see my time there through that lens and as impres sive as the rides, the resort, and the restaurants were, what really stuck out to me was the environment that Disney has striven to create no matter where you are on the property. From the moment we stepped off the plane and onto our “Magical Express” bus to the second we exited said bus on our last day, we were in a different place.. a magical place called Disney World. Disney is marketing to an audience. It is important to them that we feel like it is worth our time and money to spend both there so they have done a good job at finding out what people want. And here is the formula I saw play out over our week in Florida. 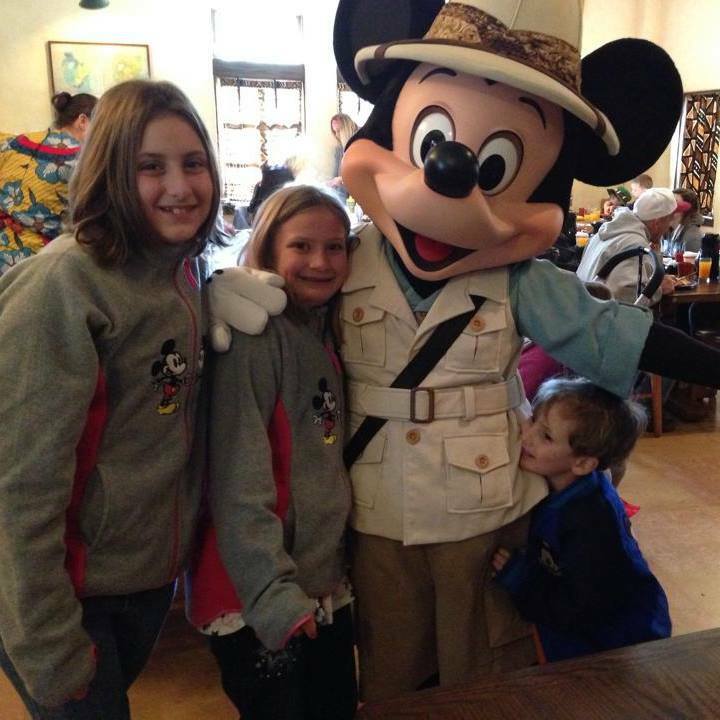 Whether you are there with one person or one hundred, Disney wants to make sure you get to spend your time there with the people you love the most. They provide services like “rider swap” and family dining plans and photographers to take family pictures (for free on your own device if you ask them) and family-friendly shows, rides, and parades that appeal to every age group. There is no need to separate. They have made it possible to stay together, to experience “the magic” together, because… they have realized that families want to be together. Often in churches, we do just the opposite. We pull families in many different directions during our service hours or throughout the weeks and months with age and gender specific events. We don’t strive to find ways to help families experience Christ together; rather we focus on the individual needs and age-segregated activities that actually keep families apart. Walt Disney figured it out years ago when he said, “There needs to be something built where the parents and the children can have fun, together.” And so he created that place. Imagine what could happen if we created spaces in church where children and parents could grow in their faith, together. So imagine with me what that would look like at church. A new family comes to visit. They are lost and need to ask a question. They grab the nearest person to them and not only does that person know the answer, they carry with them the vision of the church in how they respond. Before leading the visitors to the answer, they cheerfully welcome them. They provide knowledgeable responses and send them off with a blessing. I would want to go back to that church because I would feel truly wanted there, just like we did at Disney. 3. There is always a reason to CELEBRATE! We arrived late on Saturday night. As we checked in, I was handed a pin that said, “Happy Birthday!” as my birthday happened to be during our trip. From that time forward, nearly every cast member who saw the pin, wished me (and my mother-in-law who was also celebrating a birthday) a very happy birthday. I was given multiple cupcakes at every restaurant we ate at. My son happily carried around my birthday balloons. Around me I could see other pins celebrating everything from family reunions and anniversaries to engagements and honeymoons. Again, very focused on family and again, very cheerful and welcoming. I am a huge fan of celebrating. I feel as though we don’t do nearly enough of it, especially in church. Of all people, we should be the most celebratory of all. Celebration and recognition can be as small as a pin and a greeting, but it can create an atmosphere of joy and excitement. What if we intentionally celebrated every baptism, every marriage, every birth, every salvation, every moment of spiritual growth? What would that teach our kids about what’s important? What kind of atmosphere would it create in our churches? There is so much worth celebrating.. and we should! These are just a few of the many things I saw during our trip that I want to add to my ministry experience. If families want to spend time together, I want to make sure that we are providing the kinds of faith-building times they need to grow in their faith together. If someone new comes to our church, I want to make sure that my volunteers are ready to greet them with our vision and excitement and leave those people feeling blessed and welcomed. If I know of something worth celebrating, I want to make sure we celebrate it at every turn with great joy and intentionality. As for the eating… I’m just gonna have to leave that in Disney’s capable hands. I love this article! I feel the same way about the importance of bringing families together at church. I’m wanting to start family worship experiences and would love any insight you might give in this area. Thank you for writing this!